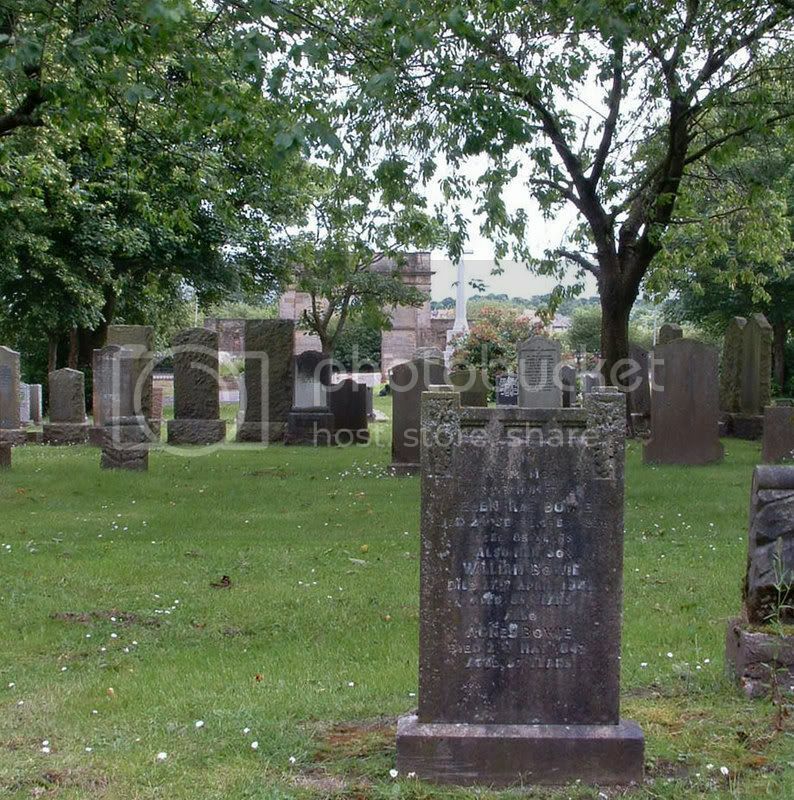 Glasgow (Lambhill) Cemetery contains 109 scattered burials of the First World War, 123 from the Second World War and one Norwegian war grave. Through the trees can be seen the original entry to Lambhill (and the Cross of Sacrifice) which is now limited to pedestrian access, vehicular access is through the Western Necropolis or St. Kentigerns. 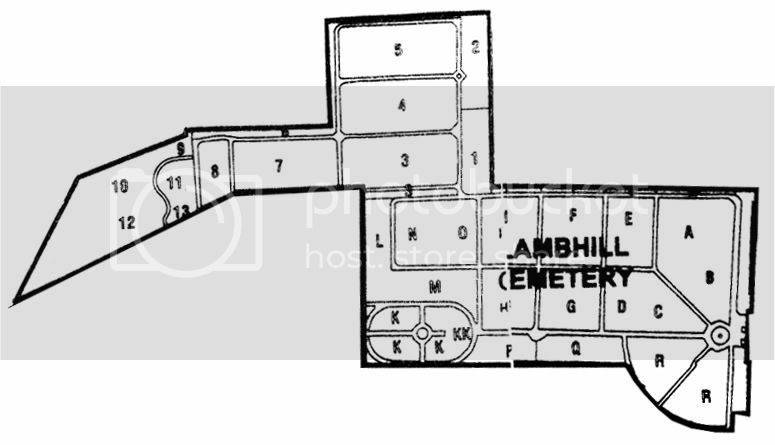 All three cemeteries are 'side by side' and between them cover a vast area. The first burial in Lambhill was in April 1882. 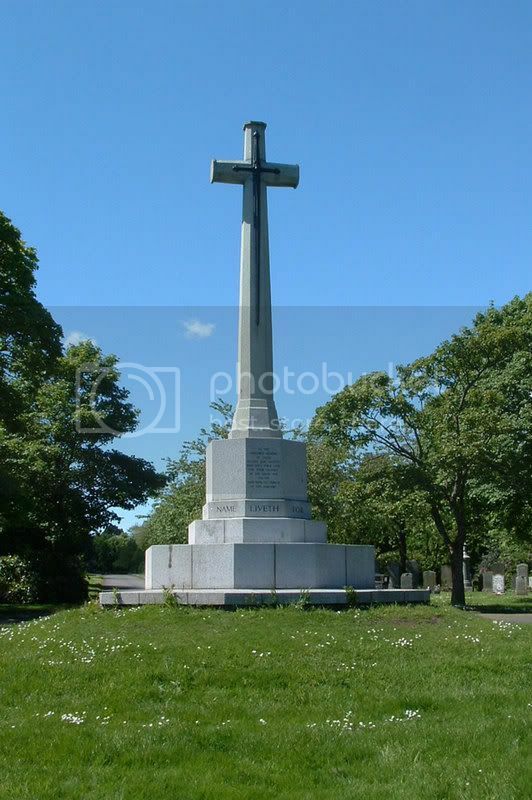 The Cross of Sacrifice - which stands just inside the original entrance on Balmore Road. 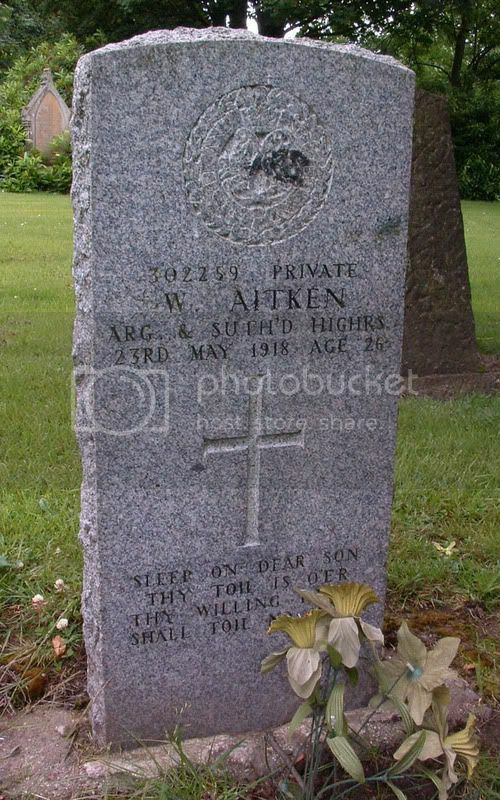 Additional information:	Son of Walter and Agnes Aitken, of 116, High Craighall Rd., Dundashill, Glasgow. Unit Text:	945 Balloon Sqdn. Grave/Memorial Reference:	Sec. 1. Grave 252. 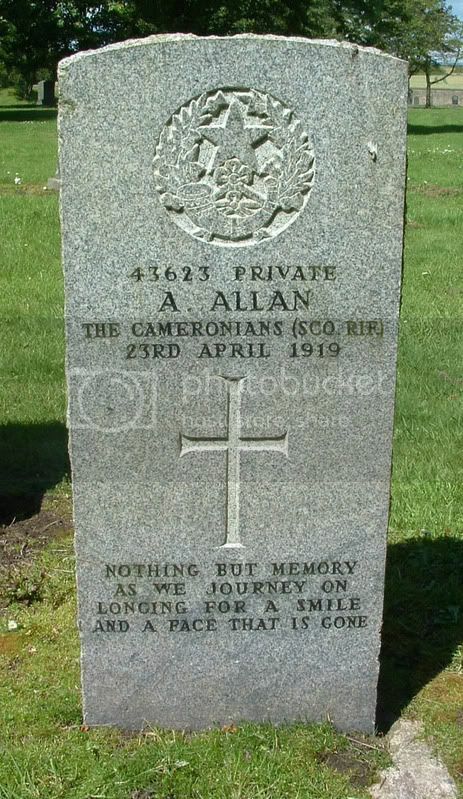 Additional information:	Husband of Jane Peacock Stevenson Allan. Grave/Memorial Reference:	B. A. 822. Additional information:	Of 37 Peel Street, Partick. 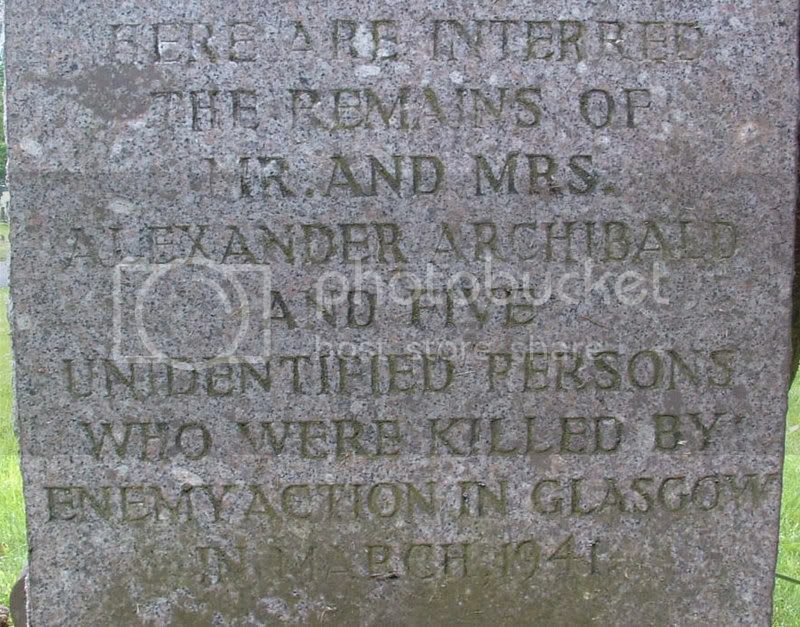 Husband of Annie Archibald. Died at 37 Peel Street. Additional information:	Of 37 Peel Street, Partick. 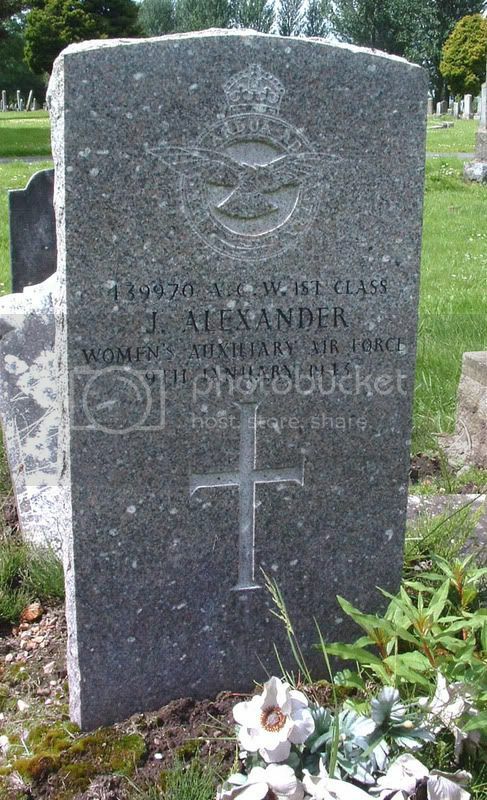 Wife of Alexander James Gray Archibald. 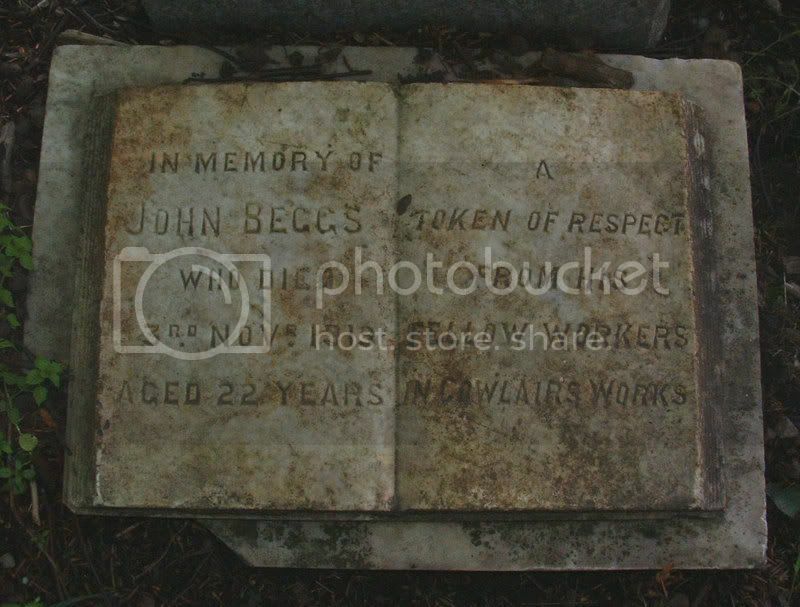 Died at 37 Peel Street. 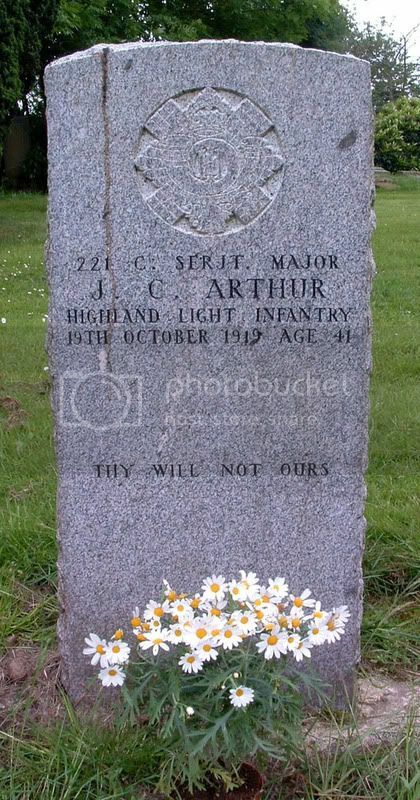 Additional information:	Husband of Margaret Arthur, of 404, Keppochhill Rd., Springburn, Glasgow. 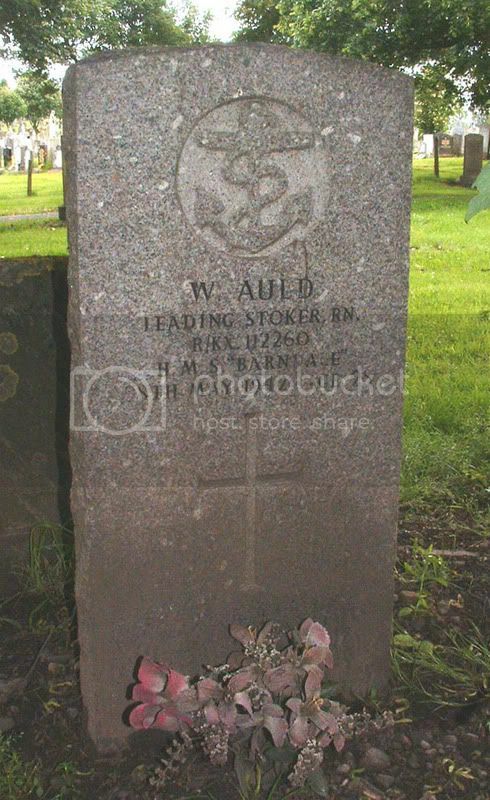 Additional information:	Son of James and Agnes Auld, of Maryhill, Glasgow. Grave/Memorial Reference:	Sec. R. Grave 1021. 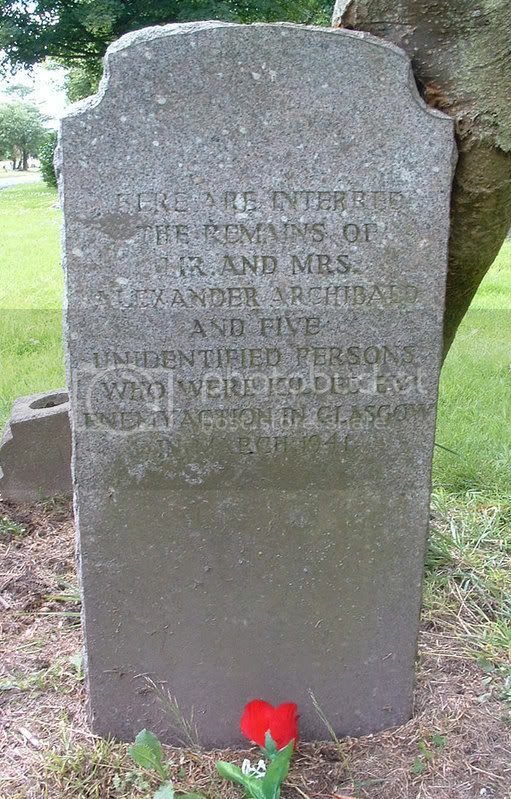 Additional information:	Son of William and Elizabeth Ireland, of Glasgow. Grave/Memorial Reference:	Sec. 3. Grave 2003. 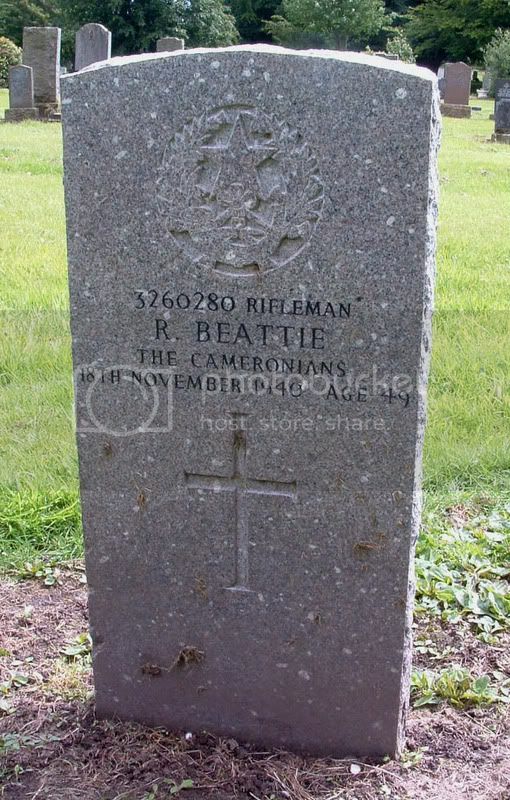 The above CWGC entry gives Rifleman Robert Beattie's parents as William and Elizabeth Ireland? Perhaps Ireland was his mother's maiden name. 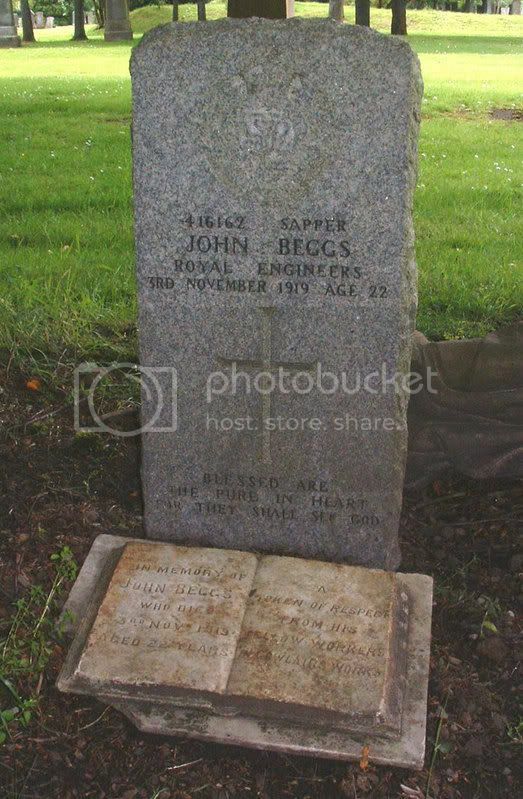 Additional information:	Son of Helen Beck, of Possilpark, Glasgow; husband of C. Beck, of Glasgow. Grave/Memorial Reference:	Sec. 1. Grave 277. Unit Text:	95th Field Coy. Grave/Memorial Reference:	A. D.G. 873. 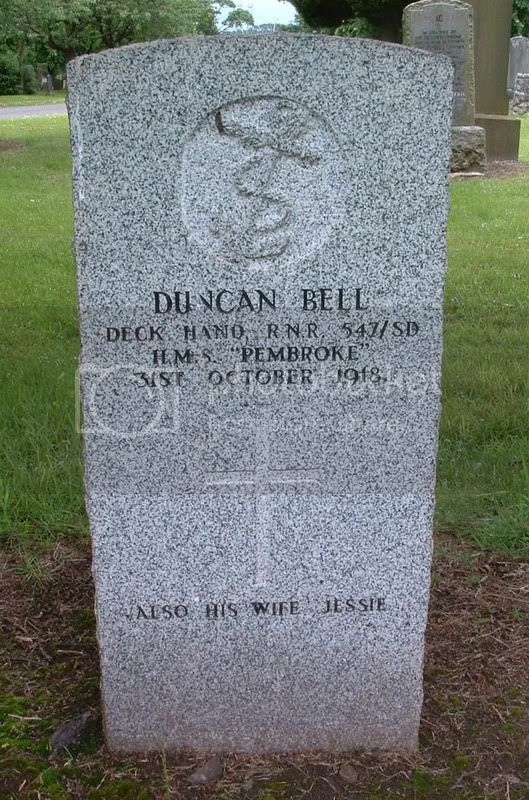 Additional information:	Son of the late William and Mary Ann Thorburn Bell; husband of Jessie McKay Strachan Bell, of 21, Hydepark St., Anderston, Glasgow. Born at Dundee. Additional information:	Son of James and Georgina Bennett, of 39, Merkland St., Partick, Glasgow. 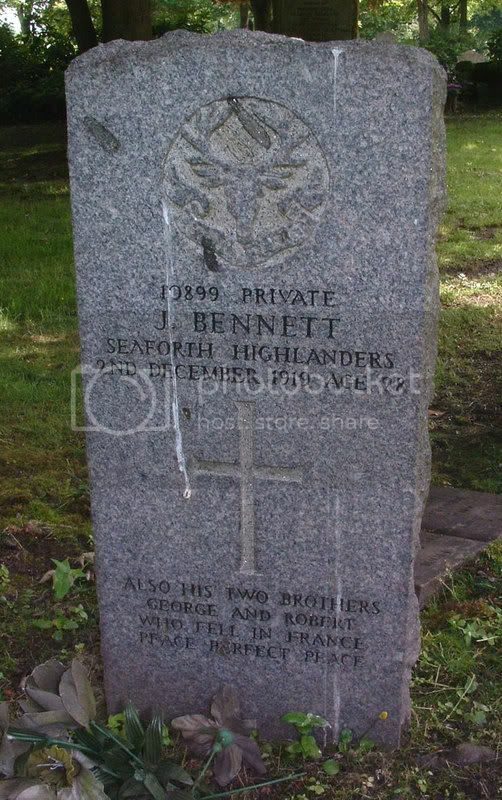 Third brother ROBERT BENNETT, killed in France – can’t identify on CWGC. 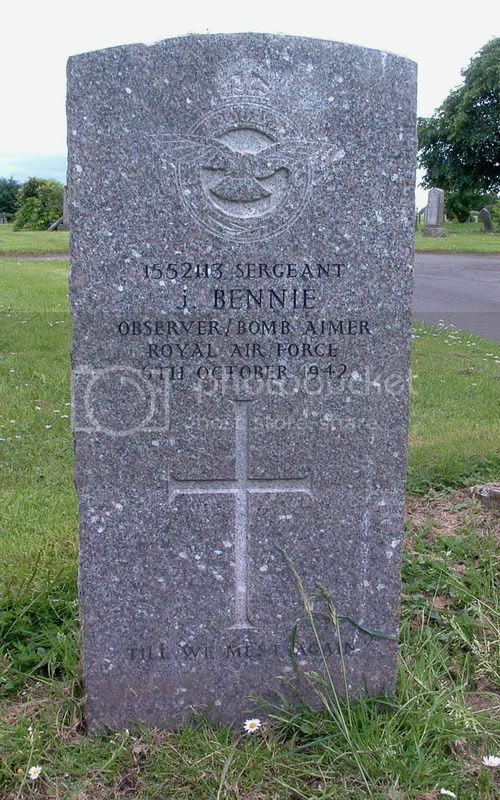 Additional information:	Son of Walter Connell Bennie and Helen Gray Bennie, of Glasgow. Grave/Memorial Reference:	Sec. G. Grave 711. Note that on the stone, the inscription says R.A.F. rather than R.A.F.V.R. Secondary Unit Text:	attd. 10th Bn. 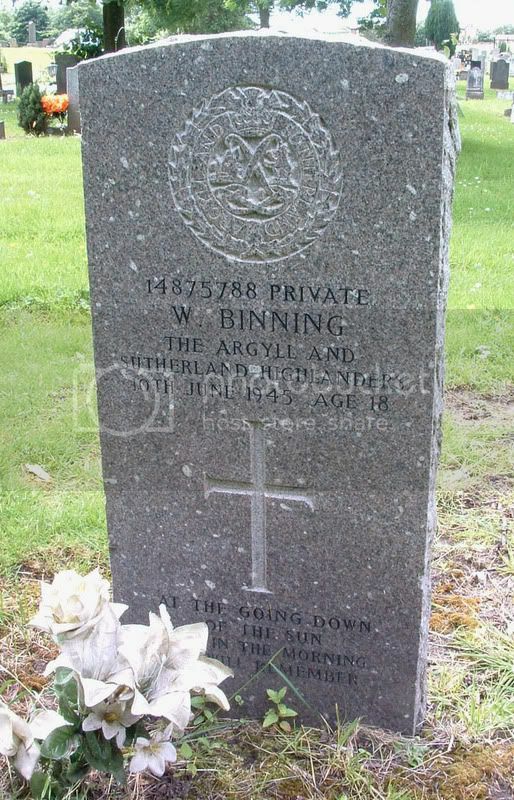 Additional information:	Son of David G. Binning and Jeanie Norwood Binning, of Glasgow. Grave/Memorial Reference:	Sec. 7. Grave 779.